12 Feb 2019 --- An innovative computer program could be of significant help to food safety professionals working to keep production facilities free of food-borne pathogens. Cornell University scientists have developed a computer program, Environmental Monitoring With an Agent-Based Model of Listeria (EnABLe), that can simulate the most likely locations in processing facilities where foodborne pathogen Listeria monocytogenes might be found. Food safety managers can then test those areas for the presence of the bacteria, adding a valuable tool to prevent food contamination through tainted food. Listeria monocytogenes infects around 1,600 people in the US each year with flu-like symptoms, with about one in five of those infections ending in death. The computer model, which is described in the January issue of Scientific Reports, has the potential to be modified for a wide range of microbes and locations, say the scientists. “The goal is to build a decision-support tool for control of any pathogen in any complex environment,” notes Renata Ivanek, Associate Professor in the Department of Population Medicine and Diagnostic Sciences and senior author of the paper. 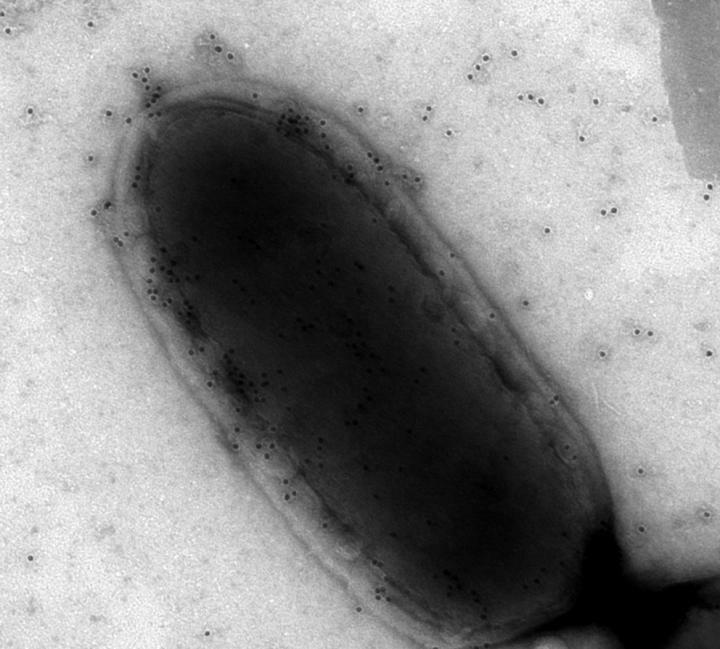 The researchers, including first author Claire Zoellner, a Postdoctoral Research Associate in Ivanek's lab, want to eventually apply the framework to identify contamination from pathogens that cause hospital-acquired infections in veterinary hospitals or E. coli bacteria in fruit and vegetable processing plants. Food safety professionals at processing facilities keep regular schedules for pathogen testing. They rely on their knowledge of the building to determine where to swab for samples. “Whenever we have an environment that is complex, we always have to rely on expert opinion and general rules for this system, or this company, but what we're trying to offer is a way to make this more quantitative and systematic by creating this digital reality,” Ivanek says. For the system to work, Zoellner, Ivanek and their colleagues entered all relevant data into the model – including historical perspectives, expert feedback, details of the equipment used and its cleaning schedule, the jobs people do and materials and people who enter from outside the facility. “A computer model like EnABLe connects those data to help answer questions related to changes in contamination risks, potential sources of contamination and approaches for risk mitigation and management,” Zoellner explains. “ Click to EnlargeListeria Monocytogenes Credit: Martin WiedmannA single person could never keep track of all that information, but if we run this model on a computer, we can have in one iteration a distribution of Listeria across equipment after one week. And every time you run it, it will be different and collectively predict a range of possible outcomes,” Ivanek adds. The paper describes a model system that traces Listeria species on equipment and surfaces in a cold-smoked salmon facility. Simulations revealed contamination dynamics and risks for Listeria contamination on equipment surfaces. Furthermore, the insights gained from seeing patterns in the areas where Listeria is predicted can inform the design of food processing plants and Listeria-monitoring programs. In the future, the model will be applied to frozen food facilities. The Frozen Food Foundation funded the study through a grant to Martin Wiedmann, Professor of Food Science, who is also a co-author of the paper. 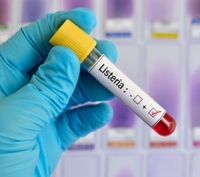 The computer program is a timely development following a listeria outbreak in Europe. In October 2018, FoodIngredientsFirst reported how ready-to-eat salmon products, such as cold-smoked and marinated salmon, were considered to be the likely source of an outbreak of Listeria monocytogenes that has affected Denmark, Germany and France since 2015, according to the European Safety Authority (EFSA) and the European Centre for Disease Prevention and Control (ECDC). These organizations used whole genome sequencing to identify the multi-country outbreak. By October 8, 2018, 12 cases, resulting in four deaths, were reported in the affected countries.